From Catania we reach Nicolosi (16.5km) which is our starting point. We then proceed uphill (estward) to Rifugio Sapienza (21km) and toward Zafferano Etna (19km) , and from here we continue in the Maraneve area until we reach Linguaglossa (38.4 km) . To avoid the leg back to Nicolosi you might decide to stay on the Strada Provinciale 94 (SP94) and continue to Strada Statale 21 (SS21) to Catania. Please note : The ascent can initiate from Catania via Nicolosi or on the northeast from Taormina via Linguaglossa. 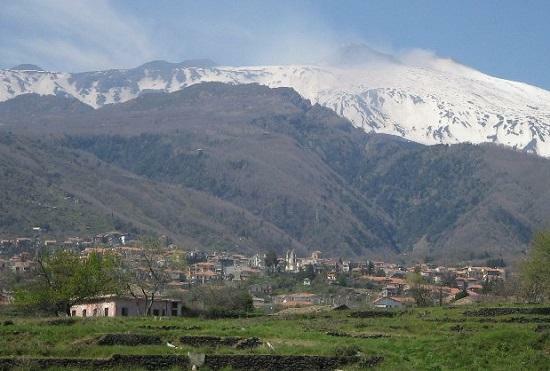 Nicolosi is home to the headquarters of the South Etna mountain guides’ association and is considered to be the gateway to Etna. Today the town is a summer resort for the popular summer resort. 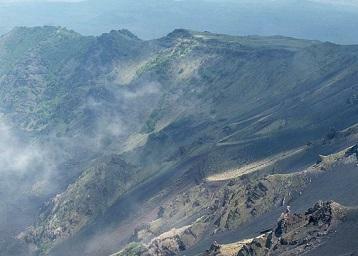 Nearby is the Monastery of San Nicolo' l'Arena and the Etna Volcanologist Museum. The village is the starting point for the picturesque route up to the Sapienza refuge, from where excursions leave for the final ascent of the volcano. The Refugio is a no frill complex which includes parking area, a square, various souvenir shops, some restaurants, 2 Hotels, a tourist information office and the climbing station of the Etna Cablecar. It's the only complex at this altitude (1920) and the final arrival point for cars. 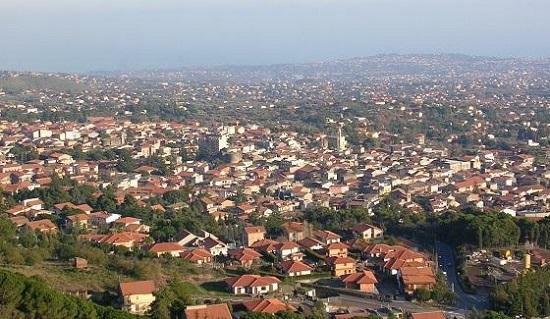 It offers a stunning view of Catania and the coast. The complex is also the starting base for trekking sessions. Close by are a series of inactive craters. You might also consider reaching the summit on foot (The walk up can be monotonous), or by taking advantage of the mini bus service . 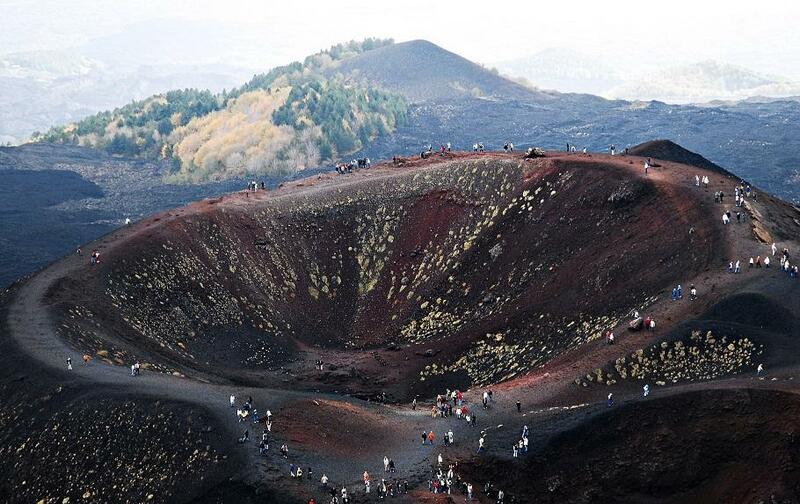 Depending on the volcano activity, it is possible to visit some of the most recent formed craters such as the so called Bocca Nuova. 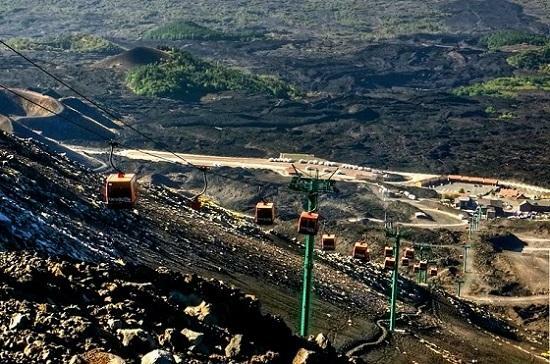 We are now driving westward in the direction of Zafferana Etnea, scenographically placed on terraces of lava.Zafferana, along with Nicolosi, is now regarded as one of the major tourist stopping points for summer and winter expeditions to the summit of Mt. Etna. The beautiful church stands in the main square of the town . 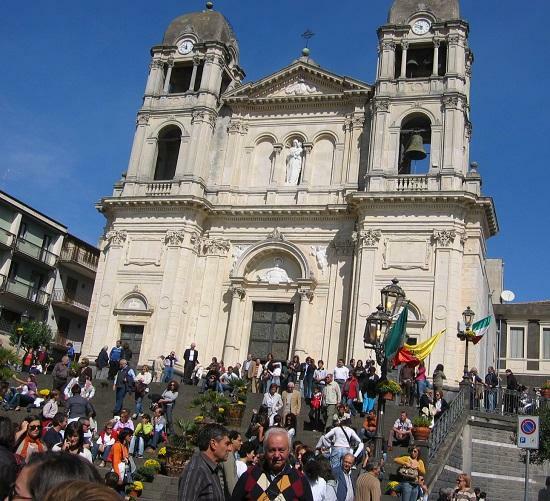 The festa della Madonna della Provvidenza is held the second Sunday in August. Below, the church during the month of October many events, known as the "Ottobrata". The Ferrovia Circumetnea (roughly translated as "Round-Etna Railway") was constructed between 1889 and 1895. 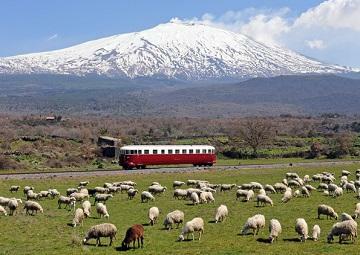 As the name suggests, the line (110 km in length) follows a route which almost encircles the Etna volcano. 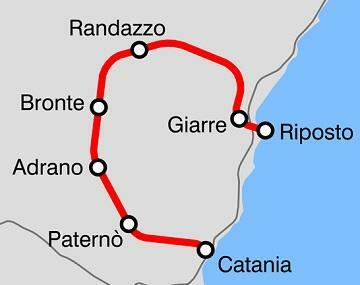 From its terminal in Catania the line starts off in a westward direction and loops around Etna eventually reaching its other terminal at the seaside town of Riposto, approximately 28 km to the North-East of Catania. Trains run in both directions. Circumetnea doesn't a complete route around the Etna but it is not necessary to do the same trip back. 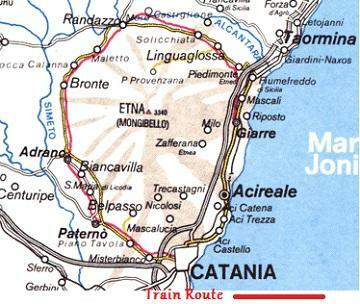 There are often direct trains linking the stations of Catania and GiarreEtna . It's also possible to buy a combination ticket for the Circumetenea and the public transports in Catania. Note: The Circumetnea is not a touristic train but rather a train for commuter workers. Some wagons used for the Circumetnea are modern but other are old and without air conditioning , wc and with uncomfortable seats. Tickets for for a full run from Catania to Riposto ares € about 8.50 and can be purchased at the stations. Good departure station are Giarre, for those coming from north (Taormina, Giardini Naxos), or Catania for those coming from south. It's possible to arrive to Giarre or Catania direclty with a national "ferrovie dello stato" train. 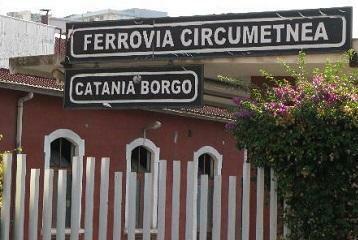 The Circumetnea station "Catania Borgo", in the city center, is directly linked to the central station with the subway. Have you been on the Volcano? Want to share your experience with us? Are you planning to? Have any question?